Minibeasts are always a popular topic in all Early Years settings. 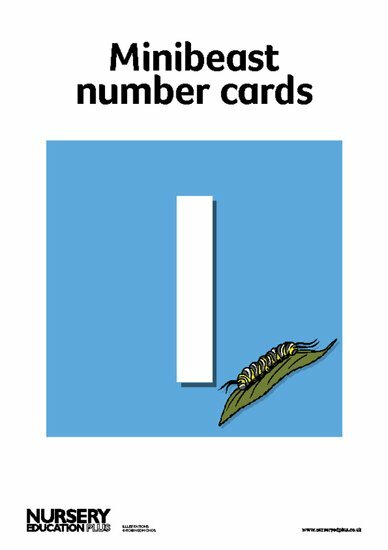 This numbered set of cards from 1 to 10 are illustrated with corresponding amounts of favourite minibeasts to inspire children’s recognition of numerals and can also be used to decorate your setting. Early Years members of the Scholastic Resource Bank can get instant access to this flashcards and thousands more online resources. Our finely crafted resources include lesson plans, teaching ideas, planning and assessment tools, activity sheets, interactives and video.